Looking to get behind the wheel of a new Volkswagen? You’re in luck! 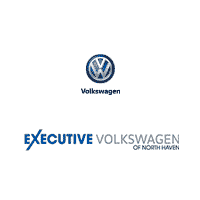 Our Volkswagen dealer carries an extensive variety of new models for our North Haven and New Haven area shoppers. Whether you’re in the market for a new sedan, hatchback, wagon, or convertible, our impressive lineup will be sure to blow you away. If you’re searching for a sedan that’s both sporty and sleek, we recommend taking the Jetta for a spin. If you’d prefer an SUV that’s equipped for adventure, we suggest hitting the streets in the Tiguan. No matter which vehicle you drive home, we can ensure that you’ll be satisfied with your new investment! Not only do we have a great assortment of vehicles available for your choosing, but we also have a wonderful staff to help you make your car-buying decision easier. From the moment you walk into our business, one of our friendly team members will be there to assist you. We will take your personal needs, lifestyle, and budget into consideration as we help you select one of our amazing new vehicles. We understand if you have a busy lifestyle. To make things easier, we have a convenient online Volkswagen showroom that allows our North Haven and New Haven area drivers to explore each of our new models. Discover information about each vehicle, such as design elements, technology features, safety enhancements, and much more! For more information about any of our new Volkswagen Models or if you’d like to schedule a test drive, don’t hesitate to contact us at (855) 250-6818.